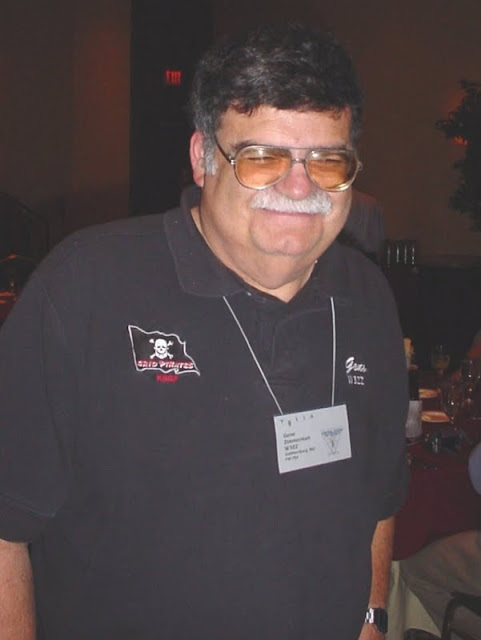 It is with great sadness that the K8GP Grid Pirates Contest Group announces the loss of another member of our organization. Owen K3CB past away October 16, 2016 after his courageous battle against brain cancer. Our thoughts and prayers go out to his family. We’d like to share some pictures to help us remember Owen at his best. 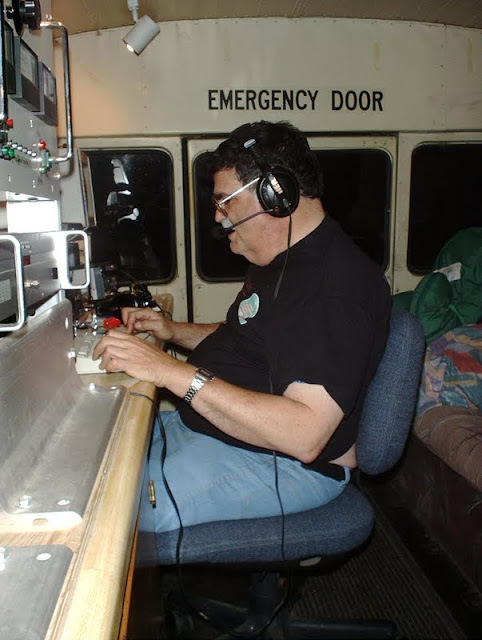 Over the years, Owen contributed to the success of the K8GP Contest group while participating in many of the ARRL June and Sept. VHF contests. Owen was always very giving of his time and resources. 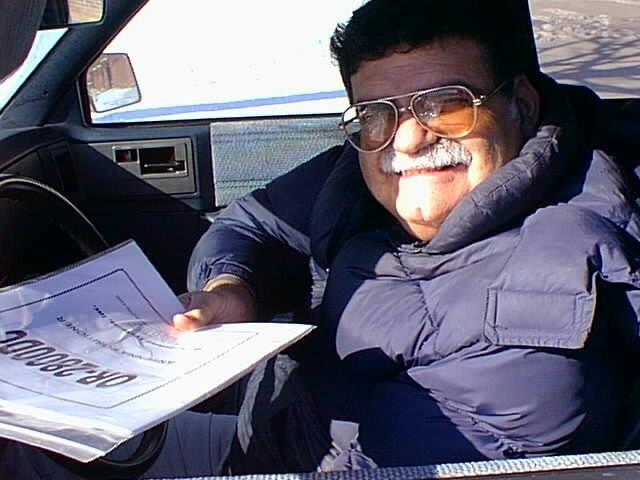 As an avid VHF, UHF and microwave operator he had a wealth of knowledge that he was always willing to share. He will be sorely miss. Owen K3CB – R.I.P. Hoping for good E-W tropo Sunday morning if Hepburn tropo predictions hold true and maybe some ES or AU on 50 & 144 MHz during the evenings. I’ll op 50-432 MHz and Terry will op 902-10368 MHz. 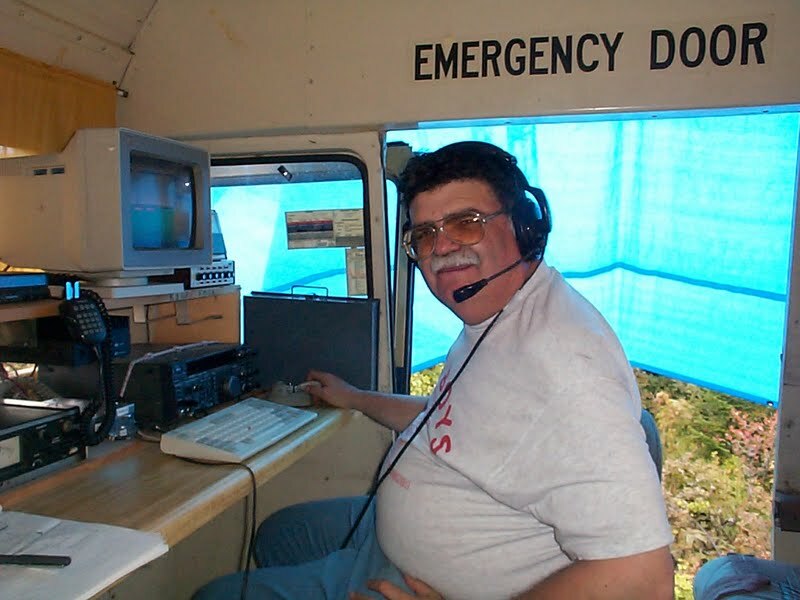 I’ll use our standard freq of 144.247 for coordination and fallback and use pass freqs of 50.247, 144.247, 222.147 and 432.147. 73 and GL to all this weekend! 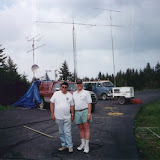 Terry W8ZN and I (Andy/K1RA) will be roving this coming weekend as K8GP/R. Our FM19bb location was hit hard this past winter with wind and ice damage, so we were unable to repair it in time for June. We hope to continue bus and tower repair work over the summer and attempt a fixed operation again sometime in the future. This contest we will take a somewhat similar route as to what we tried in Jan. VHF SS 2014, but this time starting north at FN00. We’ll also again be employing N3UW’s rover with some new improvements. Here’s our route map info. Click on colored map markers on the left or in the map for details. Zoom in for terrain info. 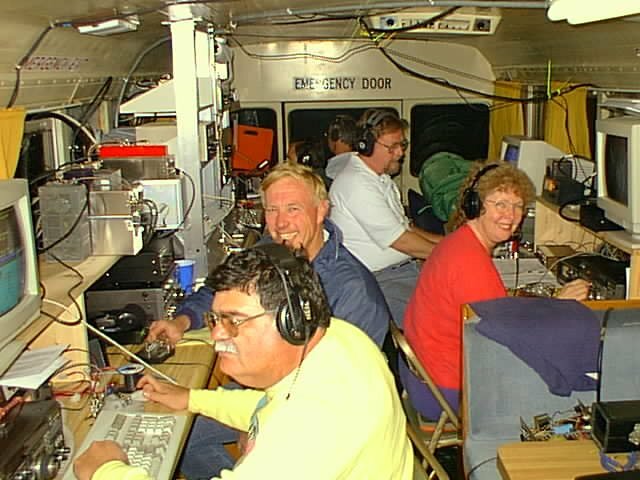 I will be mainly operating the low band seat (50-432 MHz), while Terry operates 902-10368 MHz. 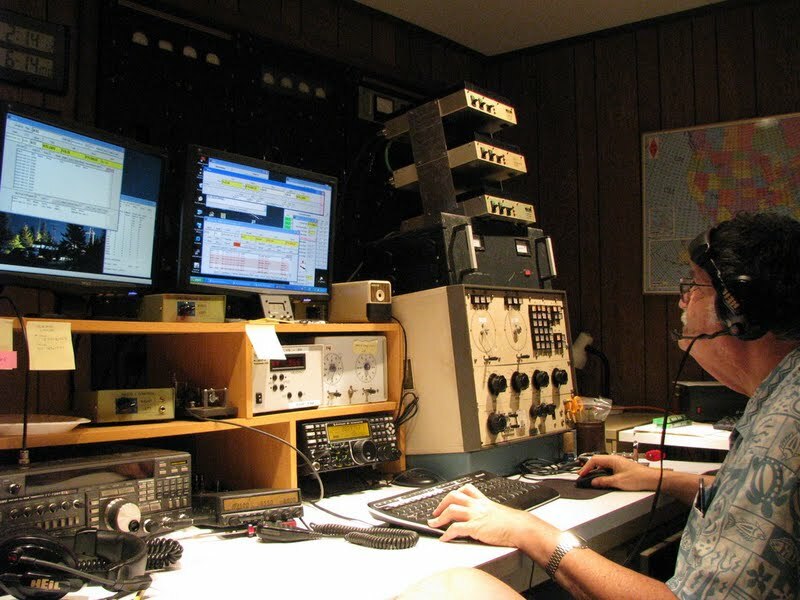 We pride ourselves on quick band hopping and appreciate your working all the bands with us when we call in and request you to attempt QSO’s. Even if there is an amazing 6m ESkip opening, please take the time to work us across the bands, as our time on sites will be relatively short. 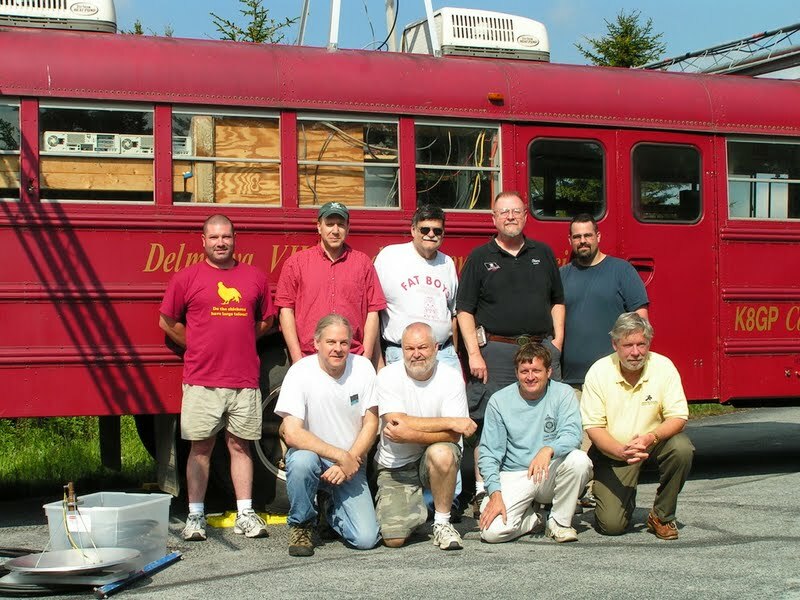 In tradition with Bill/W3IY (SK) and the recently decommissioned W1RT Jitney, I will be using 144.247 MHz as our coordination and calling frequency. 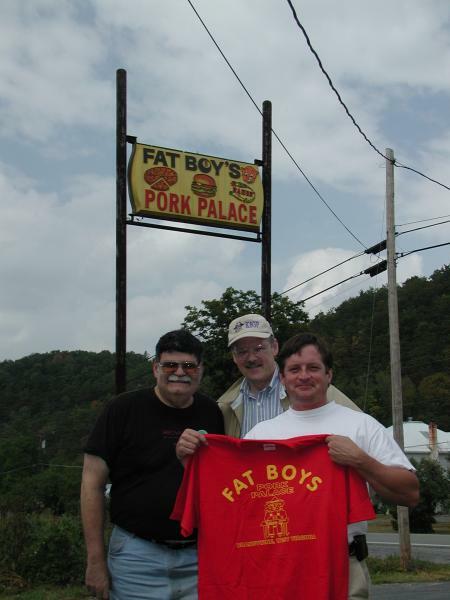 Please look for us there often. My other pass/jump frequencies will be 50.247, 222.147 and 432.247. Consider putting these in your rigs memory channels if available to assist in the frequency hopping exercise 🙂 I will be tuning mainly 6&2m to otherwise find CQ’ing stations – so make lots of noise in our general directions! 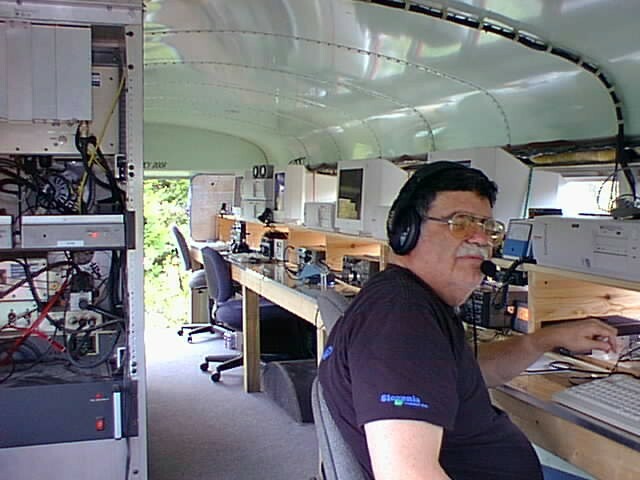 N3UW rover to be used by Terry/W8ZN and Andy/K1RA as K8GP during the ARRL June VHF 2014 contest. 73 and GL to ALL this weekend. 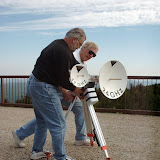 Terry W8ZN and Andy K1RA activate K8GP / Rover in the ARRL Jan VHF SS 2014 using the newly improved rover of Rich N3UW. Terry and I worked on outfitting and rebuild the rover during the month of January. 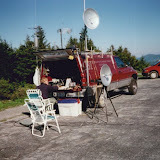 We had several nice weather days that allowed us to get the masting and antennas affixed to the vehicle. The weather contest weekend was quite cold and we’d had snow the night before. This impacted operating from some of our planned locations. Overall we did quite well considering few problems with equipment and considering poor radio conditions. To read more about the weekends activities as well as see pictures and videos, please read the article located here. 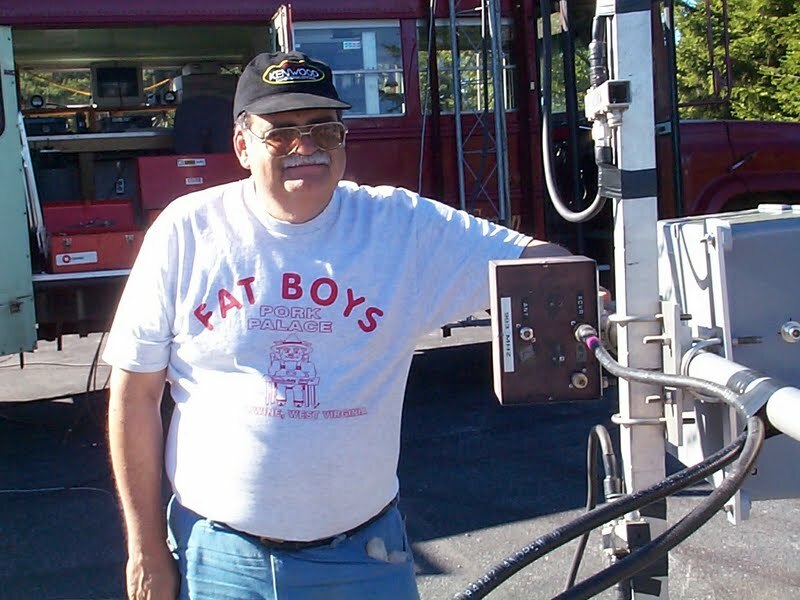 Chuck W4XP manned the K8GP station this past SVHFS 222 MHz Fall Sprint. Â You can view a grid map of the stations Chuck contacted below. Â Final breakdown and score was 57 QSO and 27 grids for 3,078 points. Click on a grid below to list the stations contacted in that grid. Click the View Larger Map to see a more detailed view of stations on a full screen map. 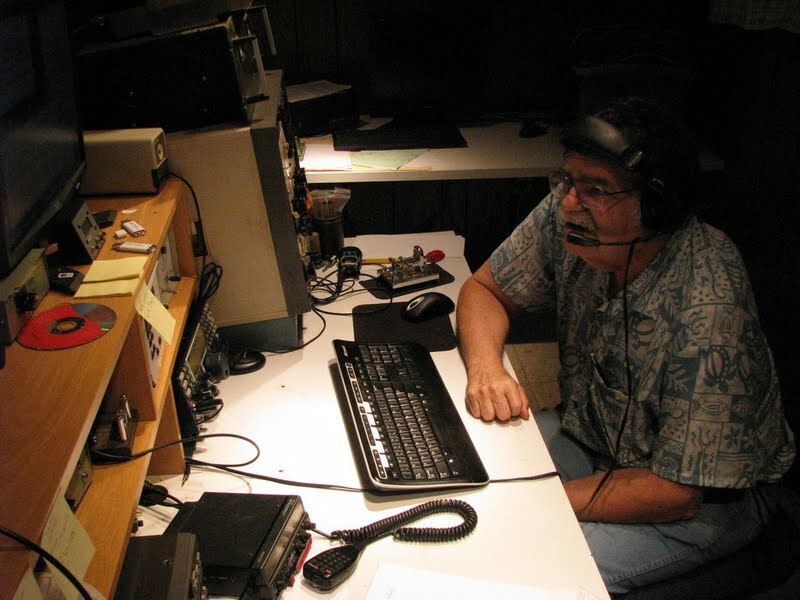 Andy K1RA activated the K8GP Grid Pirates contest station on 144 MHz during the SVHFS Fall 2m Sprint. Â There was some excellent tropospheric enhancement during the 4 hour event and Andy captured several weather and tropo maps and discussed why conditions were so good. Â As well as he has posted his log, his grid map and audio he recorded from the event. Â Check out his article by clicking here. 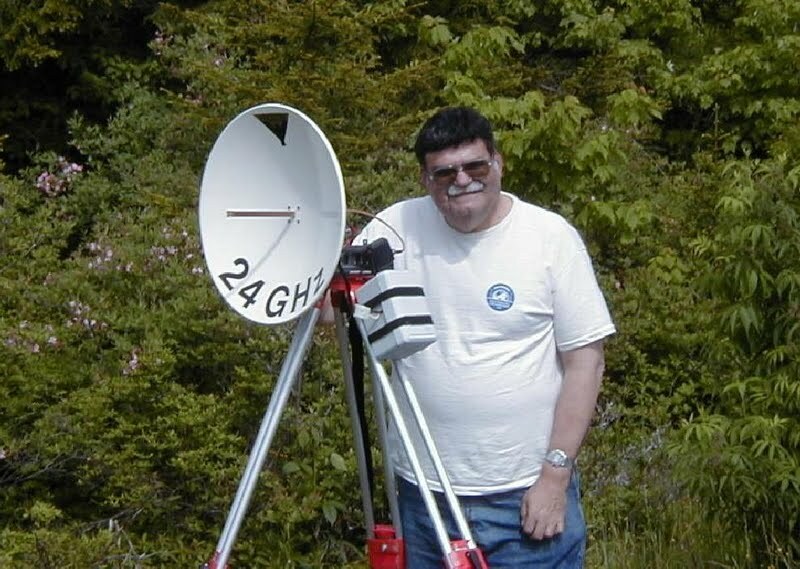 Dr. Gene Zimmerman, W3ZZ (SK) will have passed away one year ago this June and the Delmarva VHF and Microwave Society, K8GP and the Grid Pirates Contest Group, as a memorial to Gene, are republishing a recorded Webinar on our website and making it available before this years June and September ARRL VHF Contests. We do not want Gene’s memory to fade any faster than it already is, this may help to keep his memory alive for a while longer. 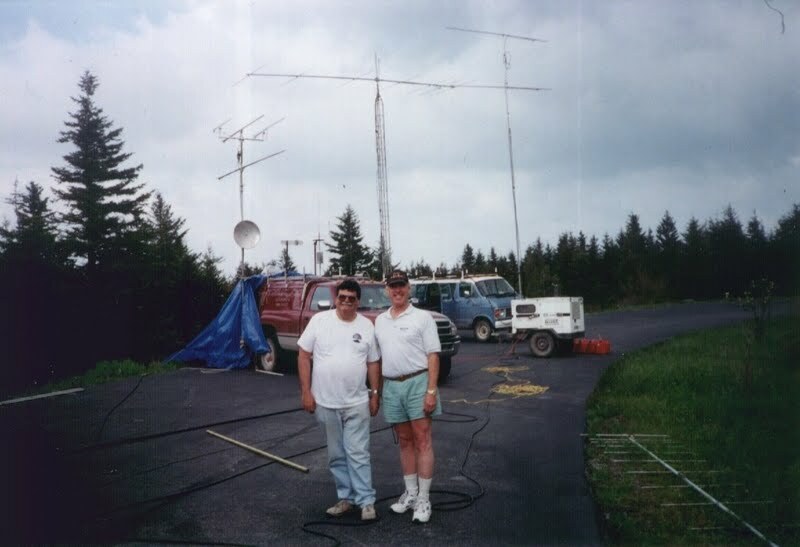 In May of 2010 Gene provided this presentation on “VHF Contesting – What to do and How to win” for the PVRC webinar archives. The presentation is ~90 minutes and covers station siting, station design, station integration, winning strategies, digital modes and the ideal stations. We have acquired a copy of the presentation and made it available for those interested in reviewing it. 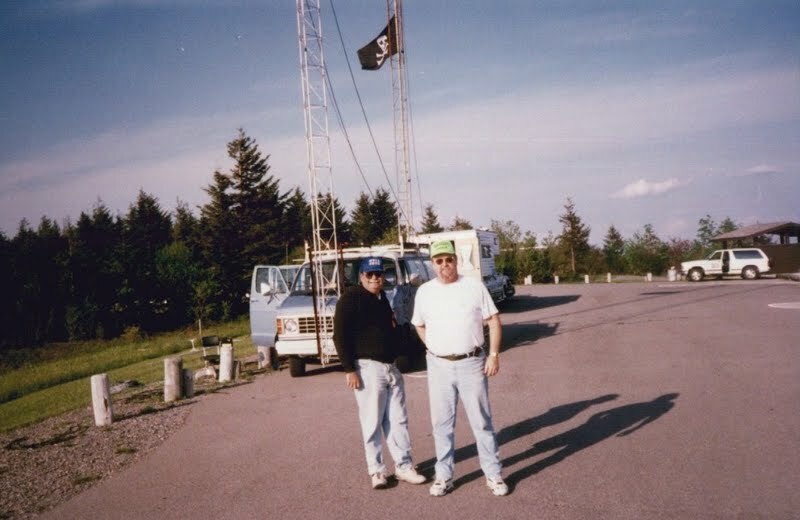 The K8GP Grid Pirates Contest Group set up operations from their new location in Virginia, grid FM19bb. 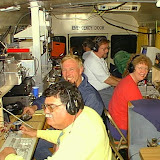 This was the first contest since June 2008 that the group entered the unlimited-transmitter, multi-operator category. 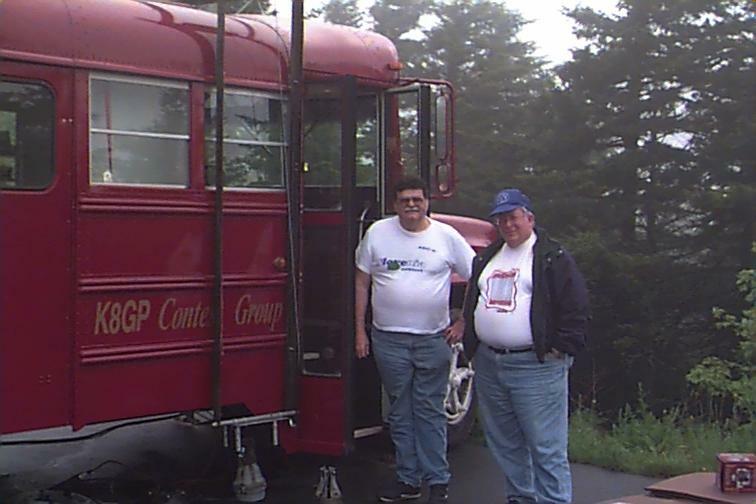 Since leaving Spruce Knob, WV in 2008, the group has only operated the low 4-bands (50-432 MHz). To read more about the weekends event, see pictures and videos and hear audio from the stations please click here.